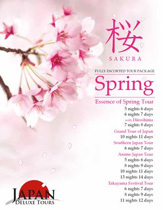 Will book with Japan Deluxe Tours in the future! Our tour guide Michiko was informative and knowledgeable in the sights visited. Grateful to have her as our guide. We will do another Japan Deluxe Tours in the future. Except disappointed the "Tokyo Tower" was changed without advance notice.